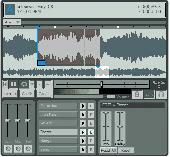 Dj ProMixer is a professional Dj Software for Windows, it is a lite version full functionally of Dj Promixer Full V1. Easy, complete and ergonomically designed for Djs, Dj Promixer lets mix your music with a clear design and an intuitive interface. DJ ProDecks is a professional DJ Software for Windows, its a full functionally DJ tool completely free. Easy to use, intuitive and ergonomically designed for DJs, with advanced DJ features: Scratch, Effects, Auto Loop, AutoMix, Sampler. Sound Sphere DJ is a free cool music mixing DJ widget software with a very stylish visual effects. DJ Mixer 3 Professional for Mac is the most powerful and versatile VJ/DJ software that gets you mixing straight out the box. EpicVJ is the revolutionary NEW DJ software for mixing live music videos, visual effects, karaoke and high-fidelity audio. EpicVJ is the revolutionary NEW Dj Software for Mixing live music videos, visual effects, karaoke and high-fidelity audio. Preview and visualize the audio flow of every track... and then beat-match, cue, loop & mix your media collection ease . EpicVJ is simply the most powerful, most user-friendly and best designed Dj Software on the market. Match beats like a pro with the Digital Dj Professional. This powerful and simple to use Software handles all of the most popular audio formats, including MP3, WMA, OGG, WAV or even CDs! - Optimized for Atom Processors. - Compatible with 10.1” screen (1024 x 600). - Big List: 11 / 14 Lines in capital letters (1024 x 600). FutureDecks DJ pro is a cross-platform DJ software. FutureDecks Dj pro is a cross-platform Dj Software. With FutureDecks Dj pro you can really mix your songs, nothing else needed but your imagination. Beat-matching is just a click away and also are seamless beat-aware loops, effects and many other things. All these thanks to a brand new audio engine. MixDeck is an iphone/ipod DJ software with real scratching support. Jackson is DJ software from the future. Jackson is Dj Software from the future. Within a couple of years many professional DJs will use tools like Jackson. - Jackson allows DJs to alter the structure of songs while playing them: parts can be repeated, skipped, paused and reversed. - Tracks are automatically beat-matched and therefore always play in sync.